E-waste, or electronic waste, is becoming quite a problem in developing nations. Not only are these countries producing mass amounts of their own e-waste, it has been common practice for developed countries to send their e-waste to developing nations for disposal, and the result isn’t pretty. 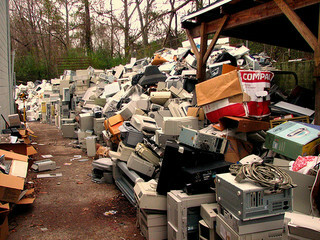 Most of this waste comes from manufacturers and businesses with large amounts of waste electronics, such as computers, portable computers, mobile devices, pagers, etc. By 2020, China and South Africa will be dealing with an estimated 200 to 400 percent more e-waste than in 2007, while India is expected to deal with about 500 percent more e-waste. This includes computers, mobile phones, digital photo and music devices, appliances, electronic toys, and TVs. China is the world’s second largest producer of e-waste at 2.3 million tons per year, just behind the U.S. which produces three million tons per year. E-waste is causing some serious global problems. In addition to the toxic waste introduced to the environment when electronic products are allowed to sit in landfills or incinerated, enormous amounts of precious metals and other recyclable materials are going to waste. About three percent of all gold and sliver, 13 percent of palladium, and 15 percent of cobalt mined in the world today goes into mobile devices. Without proper recycling programs, these materials are gone, perhaps forever. The EPA of the United States, with the EPA of Taiwan held a seminar in July to discuss this problem. The Global E-waste Management Network met in San Francisco with environmental leaders in China, India, Mexico, Brazil, Nigeria, and seven other nations to talk about responsible ways to dispose of electronic devices, and ways to salvage the recyclable materials from these devices properly. 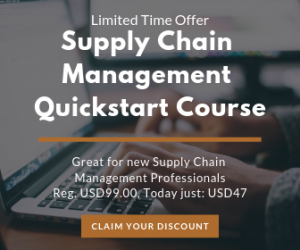 E-World Online, a U.S. company involved in large-scale take back programs and inventory management programs with large retailers like Costco, participated in this invitation only event. The goal is to stop practices such as backyard incineration, which is commonplace in China and contributes to both pollution and the waste of infinite resources. As global e-waste production increases by about 40 million tons per year, these initiatives could go a long way toward preserving the health and environment of these developing nations.